Happy Saturday my friends! I cannot believe it’s mid-September already. There are some big things happening here in the coming week and I’m super excited for every single one of them! 1. Guess what?? 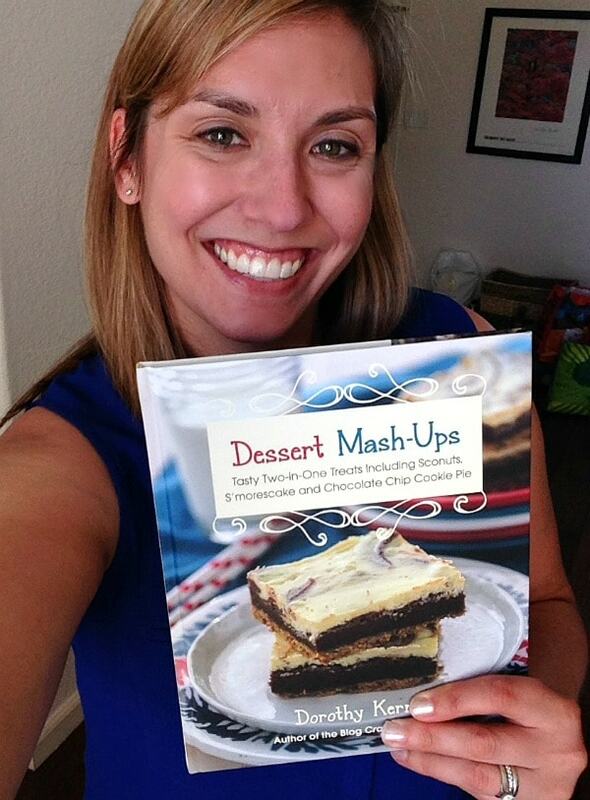 My book, Dessert Mash-Ups is shipping from Amazon THIS WEEK! You can pre-order it here and have it by Friday! You all might have to wait until later this week, but I was lucky enough to have the best (mail) day ever last week. I got to see an advance copy of my book! 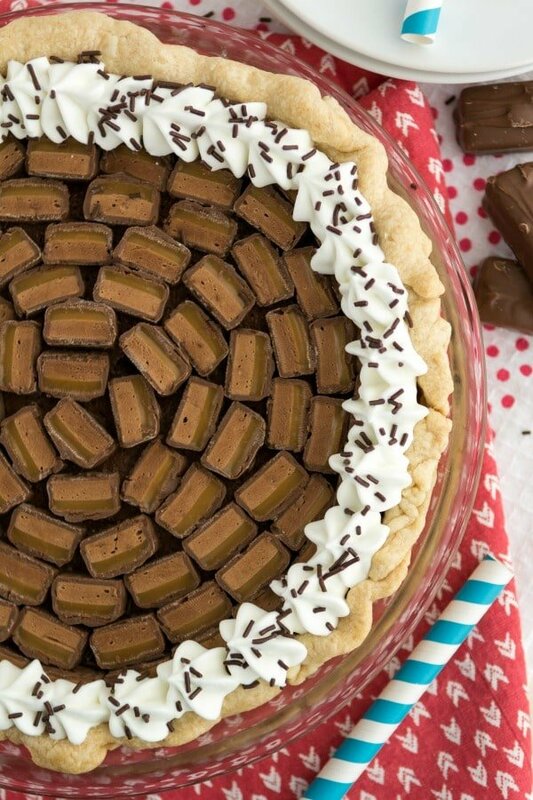 That’s a Milky Way Brownie Pie. The brownie inside is actually made with Milky Way Candy Bars! I KNOW, RIGHT? Anyway, you can pre-order it…or you can scroll down to enter to WIN an autographed copy! That’s right – I’m giving away three signed copies of Dessert Mash-Ups. Scroll down to enter! 2. Speaking of cookbooks, I did a review this week of the Smart Cookie Cookbook by my friend, Christi Farr Johnstone. 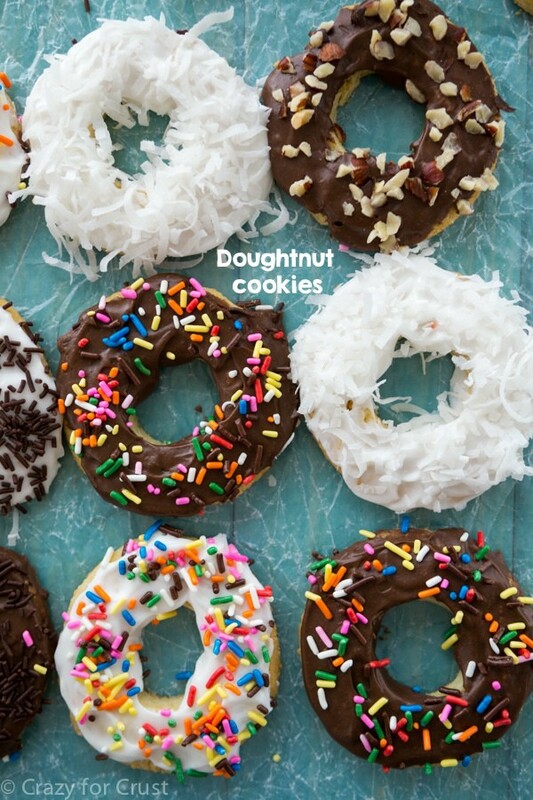 I made Doughnut Cookies. Aren’t they the CUTEST? Her book is full of treats like that. You need it!! I also had the chance to review Paleo Ice Cream by Ben Hirschberg. 3. Did you see these last week? 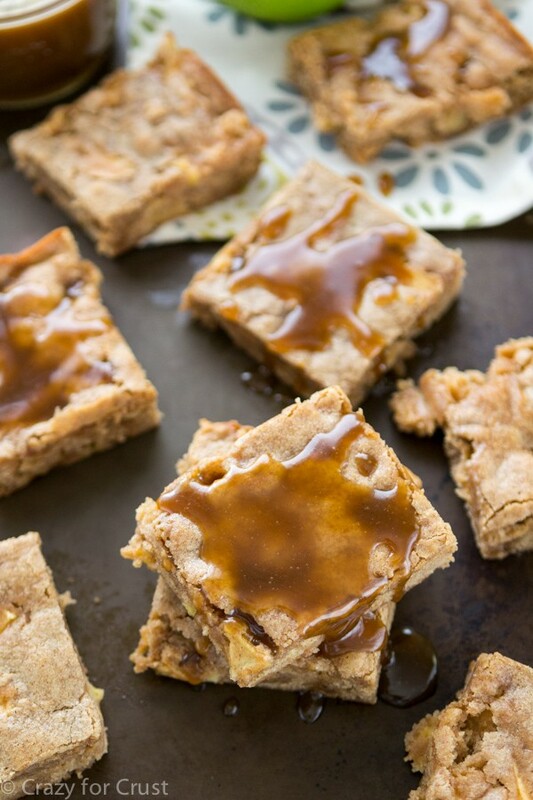 Caramel Apple Toffee Blondies: you need them in your life. 4. Do you all know what Stitch Fix is? I’m sure by now you do, but in case you don’t, it’s a clothing service that sends you a box of clothes based on your sizes and preferences. You pay a $20 styling fee that goes towards anything you purchase and you can send back (for free) anything you don’t like. I just got my second box since I started back up again and I’m LOVING it. If you’re interested in Stitch Fix, check it out. It’s only a $20 commitment, which is not a bad price. You’ll be addicted after one fix, believe me! The Longest Ride is typical Nicholas Sparks, but very good and it totally drew me in from the first page. I think I’m the last person to read The Fault in Our Stars, but it was really, really good. I mean, it’s about two kids with cancer. You can pretty much figure out from that description you’ll need Kleenex, lots of it. But it’s really good and thought provoking. The movie? I will not see it in the theatre. No one needs to see the ugly cry in person. Sisterland took me awhile to get into, but it was good. I didn’t see the climax coming until it hit, almost at the end of the book. That in itself really made me happy because a lot of times nowadays I know the end of a book before I get halfway through. This one I most certainly did not see coming. The Kindness of Strangers is the best book I’ve ever read, I think. You must read this book. It’s got a disturbing subject matter (I can’t tell you what it is because that will ruin the first part of the book, but know it involves children so if you’re at all repulsed by crimes agains kids, this might not be for you). Seriously, I couldn’t put this one down. I don’t think I’ll ever forget reading this one. Girls in White Dresses is a fun, easy read. It’s about 20-30 something girls who start to get married and find their way. It was a fast read, and I enjoyed it. 7. Where are my yoga pants? These are probably the cutest cupcakes I’ve ever seen. I want to Face. Plant. I’m so happy candy corn is back. I’m making these for breakfast. I don’t like spiders, but I love them when they’re cute. 9. I guest posted for my BFF, The Domestic Rebel, this week. 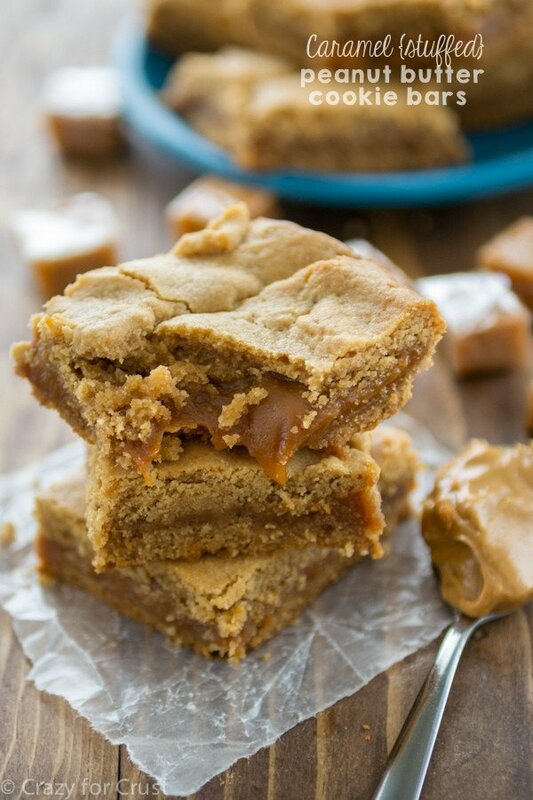 Go check out my recipe for Brown Butter Blondies! 10. And finally, what you’ve been waiting for: The GIVEAWAY! 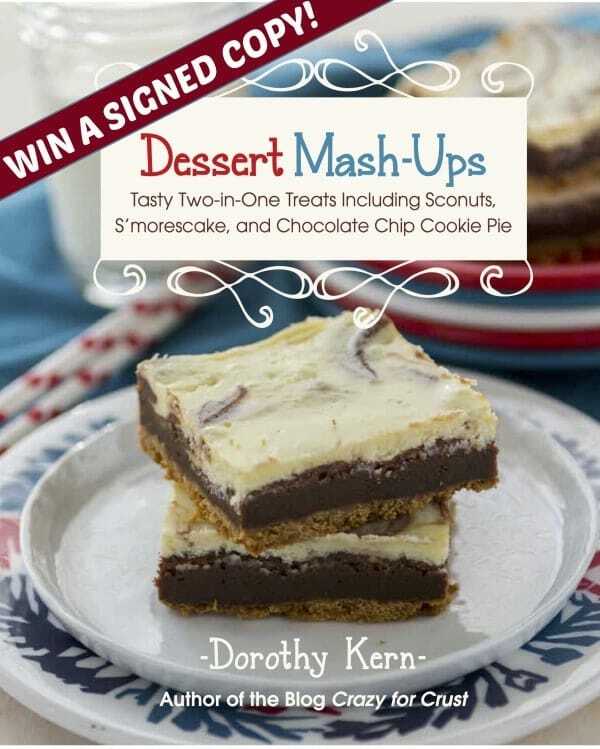 Do you want to win an autographed copy of my cookbook, Dessert Mash-Ups? Enter using the rafflecopter below. Three winners will be chosen and your books will be shipped once I receive my shipment. Thank you for reading and entering!! Please enter using the rafflecopter form below. Give it a moment, sometimes it takes time to load. Open to U.S. residents only, must be 18 years or older to enter. Full rules in the rafflecopter form. Good luck! I love you blog and all the recipes I have tried so far. Sorry to be dense- so you put 2/3 of the dough in the pan, then the cheesecake layer, then the remaining 1/3 of the dough, then the crumb mixture? I looked at the picture and can’t tell if there is dough on top of the cheesecake or not. I don’t mean to bother you; I’d like to make these for work and don’t want to mess them up. I do love your cookbook and enjoy reading your blog. Your daughter reminds me of my daughter at that age (she’s now 18). Thanks for everything! I love your recipes! I hope I win one of your cookbooks! 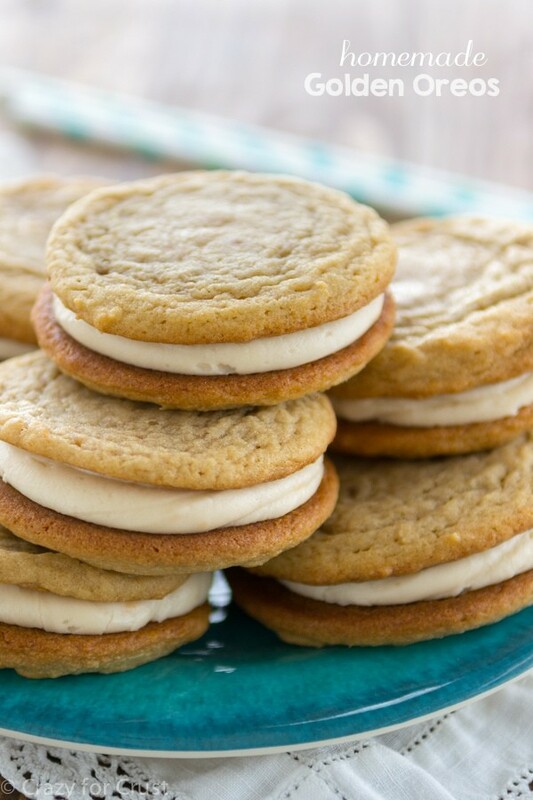 I had a recipe years ago for an oatmeal cookie pie, which was really good. I didn’t think of it as a mash-up, but I guess it fits! And now that you’ve got me thinking about it, I need to find that recipe again. Love the idea behind your cookbook! Congrats and good luck. I made take 5 cupcakes for my son’s birthday. His favorite candy bar. Awesome! 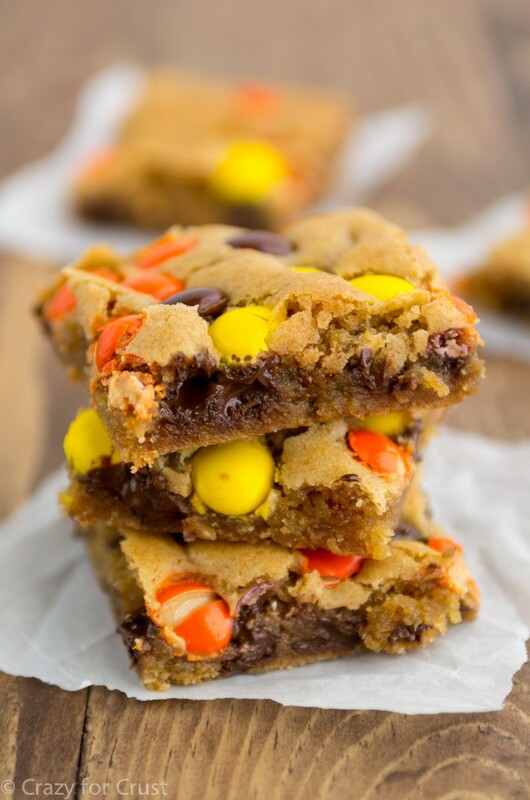 My favorite are the brownie/cookie mashups! Can’t wait to read your book! I’m not buying any cookbooks for the forseeable future as I’m loaded up for now. But I’d certainly like to win yours. It looks super. I know you’re really proud of it. That Stitch Fix dress looks gorgeous on you! 🙂 I totally need to try this! Have you heard/ tried Vain Pursuits too? I saw them on YouTube and it seems like a similar service but for skincare! Thank you – and no I haven’t. I’ll have to look into it! 🙂 I scheduled my Stitch Fix last night – excited about this! This is like getting pampered, someone else doing the styling for me! I think I’ll give Vain Pursuits a shot, it’s like getting two treats at once. Congrats on the new book! I used to collect cook books, and always love looking through them and trying the recipes. I love looking for recipes on line as well, but there is just something about holding that book in your hand. I love to bake and continue the family holiday traditions with my kids that my mom and grandmother did with us. Unfortunately, that might not happen this year as my oven broke, so we just use the top of the stove and microwave…I am disabled and on a limited income and have a daughter that just started college and a son in high school..so I try to help them as much as I can…so it’s going to be a no-bake holiday season…lol (But it will be fun researching no-bake recipes and of course chocolate-oatmeal no-bakes is on the top of the list! Wishing you much success with your new book. Love your web site! Thank you Cyndi!! I’m so sorry about your oven, so sucky. 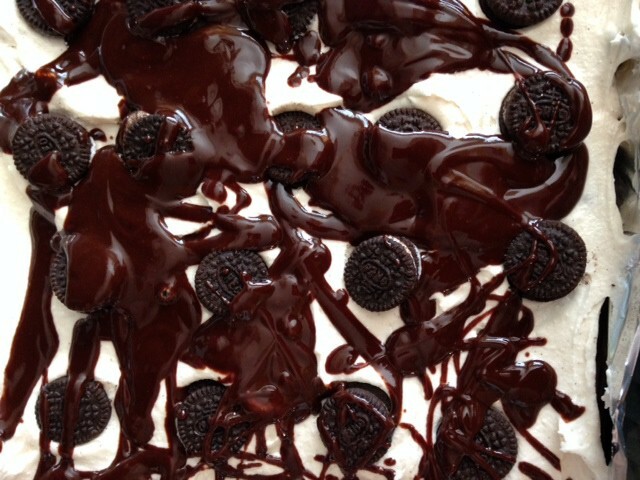 But no-bake can be amazing too!! who doesn’t love brown butter anything! 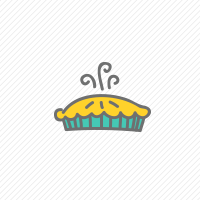 Butter is the key to wonderful recipes! peace when I am working on recipes to make for the people I love!